What do you do with this and can you do it? Oh please. I regularly use one for my darning! 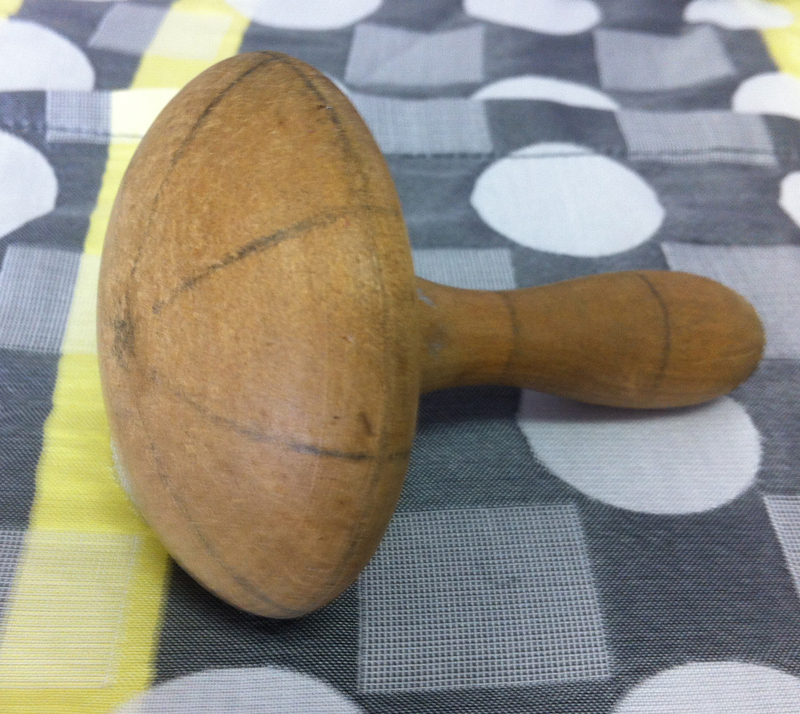 Used for darning sock heels to keep the rounded shape. And yes I can. Ahhh …. the darning mushroom … I have Nanna Anyon’s in my treasures! As part of this wonderful consumer, throw away society in which we all live, don’t we buy new socks? … In times past, I darned! That looks to me like a bobbin. You can wind wool around it and weave lovely a lovely tapestry. Its probably only edible to goats and termites. Good try Steven, while most probably enjoyed by termites you clearly weren’t taught by your grandmother how to darn socks. I did enjoy your response though. it looks familiar but i cant remember why!